"...possesses a peculiarly faraway beauty"
Space Expanses is Polestar’s second full release and his first long player on Boltfish Recordings. 15 tracks of glitchy futuristic retro-inspired melodic electronica, fusing together complex beat patterns and warm atmospheric synthesizer tones. This album captures the air of future optimism that was envisaged by a 1970s society that dreamed of moon colonies and the human race exploring the outer solar system by the end of the 1990s. The album’s concept came about after a rediscovery of progressive rock and an attempt to try and make a progressive electronica album in tribute to the music that the artist was exposed to while growing up. Jon’s retro influences are combined with more contemporary sounds and cutting-edge production techniques – softly chiming synths, warm string pads, intricate edits, 8 bit arcade game sounds, bleeps and clicks. Space Expanses is a journey of soaring melodies, electro-style beats and robotic twitters and glitches. "Space expanses sails with us to the imaginary of our wildest utopias, preserving a nice touch of seriousness while maintaining a smart use of rhythm to propel its travel. Let’s go backwards and retake the path we’ve lost!" "Space has long been an area of interest and inspiration for electronic musicians – from Joe Meek’s I Hear A New World, past Jimmy Cauty’s Space and Model 500’s Deep Space up to Harmonic 33’s Music For Film, Television & Radio Volume One and now Polestar's new album Space Expanses. It’s a bit of a cliché by now, but that hasn’t deterred Jon Elliott from going right ahead and doing it anyway – and fortunately, aside from the obligatory sample of a NASA communication in the opening track and the song titles, there’s no obvious theme running through the record. It’s a concept album with a lower-case ‘c’, if you like – there is a unifying idea behind the work but it doesn’t matter if you don’t know about it. By not labouring the space angle, Polestar has made an album that is engagingly retro in feel rather than sounding like a reheated early '90s leftover. It seemed back then that every musician and his dog sampled astronaut dialogue and there was only so much one could get out of it. As a child of parents who sat round the black & white TV watching the Apollo moon-landing and later bought an LP of extracts from various missions, I had the enthusiasm of those heady times imbued in me at an early age (and I listened to the recordings of the moon landings with fascination once I’d got past the scary cover photograph of an astronaut on the moon), so I can understand why such unique events are repeatedly mined for samples but the time for using them has surely gone. So although the heart sinks when the static and familiar American drawl appear five seconds into track one, it is over quickly and is a moment that is repeated just the once. Although neatly sidestepping the inclusion of too many astronaut samples, one of the big clichés of '80s and '90s electronica, Polestar’s work is firmly indebted to the music of that era, with echoes of any number of artists cropping up here and there. One track opens with strong echoes of The Black Dog’s "Chesh" but with a beat under it – elsewhere there are hints of Boards Of Canada’s lush melodies, the aforementioned Harmonic 33’s analogue synth attack and… well, I could go on but the point is that Polestar goes beyond these influences and makes something that is distinctly his own. Space Expanses would not have been out of place on the likes of Suction Records (home of the Snow Robots compilations) or Toytronic (home of several artists that now record for Boltfish) and the mix of inventive rhythms and soothing melody lines would certainly have created a buzz amongst the cognoscenti pre-millennium. 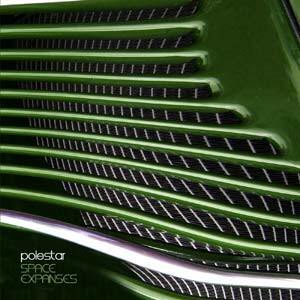 This is not to suggest that the time for Polestar has come and gone, far from it – Space Expanses is a confident work and may just tap into the crowd of aging electronica heads who want something that sounds familiar but is fresh at the same time, alongside younger electronica fans discovering these sounds for perhaps the first time. Elliot doesn’t vary the range of sounds that much across the album, which means whilst no single track stands out as exceptional, there are no skippable duffers – and he shows a great economy with the tracks themselves, keeping all but one track under the five minute mark. It’s this conciseness and, dare one say it, comforting sounds that raise Space Expanses above the vast array of A.N. Other electronica albums. If it perhaps lacks the inspiration to elevate it to the pantheon of greatness, that’s no reason not to investigate it and the other output from Boltfish, particularly if you’re feeling a little nostalgic for the electronic sounds of the recent past." "Boltfish are one of those labels that threatens to release a truly great album at some point. With over 40 releases, their repertoire ranges from IDM to more experimental material, and in Jon Elliot’s new album, they may have found one that makes its mark on a wider radar. Although derivative and indebted to the early 90’s sound of British electronica, "Space Expanses" is worth listening to because the tracks contained within have so many hooks. Apparently conceived with a nostalgic look at the future in mind brought on by listening to progressive rock, it’s an album full of soaring synths, electro-style beats and the odd Autechre-like nod to glitch, and whilst not pushing any boundaries it has at least 6 or 7 memorable tracks containing solid compositions. From the Arovane-esque "Stellar Configuration" to the string-laden and quite gorgeous electro of "EVA Dance", "Space Expanses" is a reflective and at times melancholic journey through musical nostalgia that had me reaching for my 7th Plain LPs. "Return to the Moon" and "Space Junk 1970" recall the halcyon days of early Autechre, and there’s a playfulness in the peripheral sounds he uses, from 8-bit computer games to more strung out glitch. Behind the sheen there’s not a great deal going on beneath emotively, but as a nostalgia trip both thematically and musically, "Space Expanses" is worth hunting down." "I can vividly remember as a kid in the 80's, running down to my local record shop to pick up the latest hip hop and electro compilations. Playing the "latest" arcade games, Out Run, Golden Axe and Dungeons and Dragons. The excitement of going to the swimming baths for the arcade games and afterwards, eating chips with lashings of salt and vinegar and having an overall feeling of things being electronically exciting. Despite the buzz of a change in the world, there was also a dark robotic cloud that hung over that time. The above nostalgic musings are what came to mind whilst listening to Polestar's first release on Boltfish Recordings, "Space Expanses." Dreamy sci - fi lullabies, awakening senses that seemed retrospective are awakened and given new light and darkness and my, it's self gratifying to reminiscence about "the good days." Complex beat patterns, twinkling synths, meteor showers of crackling effects - jumping from electro break-dance beats to glitch modernity make this an album that travels cosmoses, galaxies and brings you softly back down to earth. The production is outstanding here. Rather than sticking to retro analogue techniques, Polestar's use of warm string pads and glitchy modern blip switches, bridge the gap between the early electro stabbings of Hashim's - Al-Naayfish and the current electronic shockwaves of Isan and Boards of Canada. One for the old school electro heads and modern electronica lovers alike. Polestar's electronic sound manipulations are fresh yet familiar and are on course to become another Boltfish Recordings classic." "Boltfish give us another absolutely superb album here, this time from Polestar. Right from the off it's got me with a short intro track giving you a suitable insight into what's about to come. Clicks, glitches and some delicious sounds give way to something that sounds like a rocket taking off before leading into the second cut. From there some absolutely wonderful arpeggios (with a hint of videogame-ness about them I might add) lead into a scrunchy, hi-tech electronica rhythm with some deft programming and a beautifully melodic sound. The album as a whole has such a gorgeous sense of pace and musicality that I think fans of the label are going to absolutely adore it. Whilst it has contemporary electronica at its heart there are nods to (once again) old school videogame soundtracks as well as the occasional foray into Italo / Vangelis-esque basslines and synth workouts. All told it's a bit of a smasher and comes as a must-have for people who dig the Boltfish sound. As always, there are only limited copies, so best get in there quick sharp!" "Polestar’s ‘Camplex’ EP was the first CD I had the chance to review from Boltfish Recordings. Since then it’s been my pleasure towrite abouta great number of further releases from this frequently entertaining label. It’s encouraging to see how Polestar’s Jon Elliott has grown as an artist as well. ‘Space Expanses’ is inspired by the ambitious (andfrankly daunting)idea of merging outer solar system exploration with progressive rock. ‘Welcome To Space’ says it all. Though it’s partly filled with glitchy electronics, the clean retro-futurist melodyconveys a nostalgic look at other worlds from a time when Star Trek was the nearest we would get to it. Thus the album continues in endearing form: never threatening to set a new musical agenda but always eager to please withanother sweet tune. In fact, some of the tracksseem more suitedto computer gamesrather thansoundtrack work. Those looking for amoreedifying listening experience shouldfind ‘Polaris Theme’ and ‘EVA Dance’farmore enlightening. Beyond the R2D2 bleeps and furtherglitches,the mood is lonely and melancholic. Meanwhile, ‘Return To The Moon’ assembles several layers of digital tricks into a haunting, lovely centrepiece and ‘Space Junk 1970’ possesses a peculiarly faraway beauty. Even if it does cast a pale shadow compared to Avrocar’s stunning space-themed album from this year, ‘Space Expanses’ should be judgedin its own right for taking a naive, straightforward andtuneful approach to exploring unchartered territory. It’s a little superficial but enjoyable nonetheless."